From TV series, films and plays to entertainment shows and as a show host. 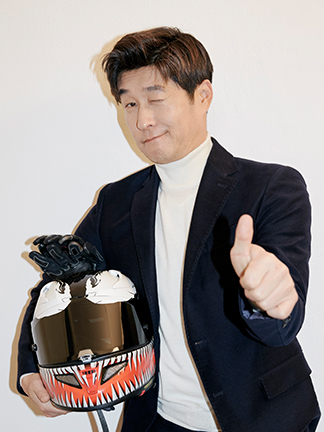 What is the limit for actor Sang-joong Kim’s challenges? Let’s hear his story as he paves the way for himself with his true colors. Q. What have you been up to lately? These days, I go to the recording of “I Would Like to Know” every Friday and “Just Happened” every other Saturday. Aside from that, I act in a play rehearsal every day. I’m performing in the play three days a week, so I spend most of my time for that these days. Q. It’s been 18 years since you last took part in a play, and now you’ve come back with “Misery.” You’re a veteran actor with 29 years of experience, but it might not have been easy to get back onstage after all these years. Did you have any particular reason? Not really; I just happened to drift into it. I had watched the film “Misery” so I was well aware of its story, but reading the script for the play gave me a fresh jolt, which is why I decided to do it. I’ve been acting for almost 30 years, but the stage still makes me nervous. It’s been a long time since I last faced the audience in that way, so I was really nervous. Q. You convey a grave and serious character, but sometimes you play unexpected roles in TV series, entertainment shows or commercials. Perhaps this is why entertainment shows like “SNL” are all trying to get you on their shows. Why are you making such diverse attempts? I don’t settle for the present, but always try to evolve. The first of March this year was the 10th anniversary of my hosting “I Would Like to Know.” Since it’s a program I have hosted for such a long time, many people remember me more as the show host of “I Would Like to Know” than the characters I’ve played. But I don’t want myself, Sang-joong Kim, to become boxed into anything. That’s why I’m constantly trying new things in different fields. I don’t want to stop where I’m at, but want to keep showing you how I develop and evolve. to become boxed into anything. Q. When you try something new, do you have your own selection criteria? I worry whether I can do it well. But we never know how things will turn out. That’s why I consider the process itself as meaningful and just try it, no matter what comes out of it. If you take a challenge only when you’re sure it will go well, I don’t think that’s a challenge in a real sense. Challenge is beautiful and valuable as it is. Q. You’re actively involved in multiple fields such as TV series, films, plays, entertainment shows and as a show host. Which of them makes you most excited and happy? I’m an actor to the core. So, I’m most excited to encounter a new character and tell a new story as I act. I’ve been hosting the current affairs program “I Would Like to Know” for 10 years, but my role is not to be a journalist but to be an actor with emotions that properly delivers the countless truths, while also making public the things that must be fixed in our society. I’ve always wanted to tell this kind of story in a TV series as well, and my desire was fulfilled in 2014 through the OCN TV series “Bad Guys” where I played Gu-tak Oh. It’s about taking bad guys to eradicate even worse guys in this world where so many things can’t be fixed by law, which is only possible in a TV series. But I got a vicarious sense of satisfaction from it, thinking as if I’m actualizing ‘social justice.’ I felt similar joy and feeling through the character Mr. Somebody in TV series “The Rebel” last year. rather than whether I can do it well. and valuable regardless of the outcome. Q. You’ve been hosting “I Would Like to Know” since 2008 and “Just Happened” on O tvN since 2015. So now these two programs have become the main programs of the broadcasting stations as well as your representative works. What’s the secret to hosting them for such a long time? I’ve been striving not to settle for the present and get stuck in a rut. I tend to engage myself with a new attitude every episode, and aim to work in perfect harmony with the staff. And suddenly, 10 years or 3 years have since passed. Q. Staying in one field for a long time and walking a single path vs. constantly trying different fields and opening up a new path: Which do you think is more meaningful and suits you well? The latter: opening up a new path. I’ve been doing that for the last 29 years. No matter what I do, I have tried to create a sense of newness that is unique to Sang-joong Kim. “Just Happened” is also a program that has continuously evolved. 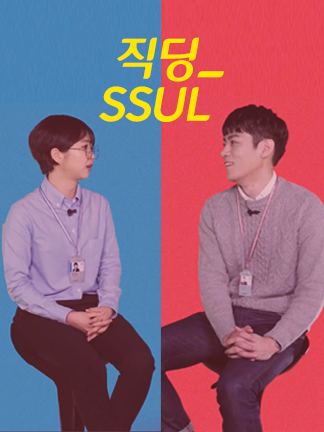 At first, this program frankly dealt with the story of how Cheolsu and Younghee become adults, but now it is well-loved by delivering lectures of speakers that are like mentors of our time. It’s a new attempt made after pondering over what to do in order to provide more knowledge about life and philosophy as well as a consolation to all the people living their complicated lives. I love making such new efforts. Creating something new is what CJ does best. I myself also love challenges and fully embrace them. Q. 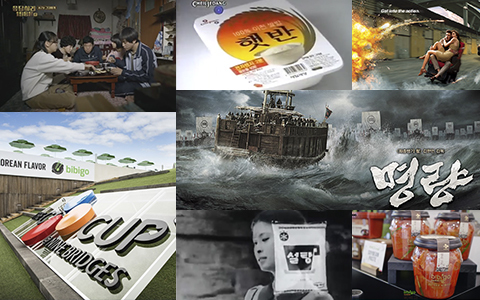 “Bad Guys,” “Just Happened,” and “SNL” are all programs made by the channels of CJ E&M. What was it like to work with the staff of those programs? When I first got the offer, I felt it was really fresh and original. It was also perfect for my intention to show new and diverse aspects of myself. The result was a very positive experience. Many people now seem to feel more comfortable around me after I appeared on “SNL Korea 6.” I had the most seniority due to my 29 years of experience, and most of the staff members tend to be younger than me. But I love the fact that they don’t feel ill at ease and freely share their thoughts with me. I learn a lot from them. They all do their best in the tasks they are assigned to, and constantly take on challenges in their positions. This is why I always have a lot of fun working with them. Q. “Just Happened” was debuted in 2015 when O tvN launched, and has been broadcast up to the 124th episode. You’ve met countless ‘mentors for adults.’ Whose story is especially memorable to you? I’ve met so many great people and heard so many stories that I can’t seem to single out just one. But to sum up, their messages share the idea that we shouldn’t be afraid of getting hurt while taking on a challenge. An egg turns into a chick if it cracks open itself, but if someone else does it, it will only end up being a fried egg. I hope you try with courage. You might get hurt in the process, but just accept it for what it is instead of feeling intimidated. I don’t know if what I say will resonate with everyone, but just think of it as advice from someone who has lived a little longer. The things I want to do? through North Korea and Russia. Q. Did you ever face any particular difficulty or slump? If so, how did you overcome it? I don’t think of slump as being a real slump, but rather a resting phase. So when I don’t have anything lined up in my schedule, I wait for something to come up while I also check out the acting of other actors and actresses, and scoot around here and there on a bike. The pleasure of it all gives me the power to walk a new path once again. I hope all of you who read this interview don’t think that you’re falling behind or slower than others. It’s a phase that we must all go through. Q. Is there anything new you want to try? I love riding a bike and am quite good at it. So, someday I want to go across the Eurasian Continent through North Korea and Russia. if the South-North relationship gets better. Q. What is your plan and goal for 2018? For now, I want to successfully hone my performance in the play I’m doing now, and continue to do a good job hosting “I Would Like to Know” and “Just Happened.” I don’t really have a long-term goal in particular. I keep reminding myself that “Today is the tomorrow that a person who died yesterday truly wanted to live.” That’s why I live my life to the fullest every day as if today is the last day of my life. needs a more courageous challenging of oneself. We support and encourage your adventures.